When it comes to personal injury cases—especially those related to car accidents—the role of technology can be a mixed bag. On one hand, technology can provide a better understanding of what really happened during an accident. On the other hand, technology can sometimes hinder a person’s ability to collect compensation for medical costs and other damages. Newer technologies like dashboard cameras, smartphones and crash data recorders make it easier to reconstruct aspects of accidents based on the information they collect and store. Dashboard cameras are becoming more common in cars and could help assess fault in accidents. Dash cam footage isn’t just one side of the story, it’s actual footage of the event. 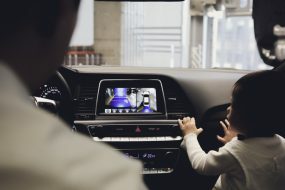 As dashboard cameras become more prevalent in vehicles, the video they capture in the event of a collision will likely play a greater part in assessing accident fault. In turn, this may also impact the amount of compensation an injury victim can pursue in a related personal injury claim. 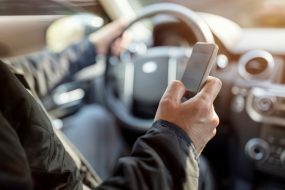 In cases of alleged distracted driving, time stamps on smartphones may be used to determine whether a driver was texting or talking at the time of a collision. Likewise, smartphones and similar devices can offer a glimpse into what a person was doing in the moments leading up to a collision. In cases in which distracted driving is alleged, the time stamps attributed to texts, phone calls or other phone uses can be used to determine whether a driver was using his or her smartphone behind the wheel. Even if a distracted driver is not primarily at fault for an accident, his or her ability to collect compensation for resulting injuries could be reduced if there is evidence that he or she was using a phone at the time of the crash. It’s important to note that in Wisconsin all drivers are barred from texting while driving. Drivers with a probationary license or instructional permit are prohibited from using mobile devices while driving. Several auto manufacturers are incorporating built-in event data recorders (EDRs) in newer models. EDRs offer features similar to an airplane’s “black box” and record transportation information like acceleration, braking, and other vehicle functions leading up to a crash. In 2016, the EDR recovered from a Tesla Model S engaged in “Autopilot” exposed important details about the driver’s lack of action prior to being killed in a collision with a large truck. The EDR revealed the driver did not have his hands on the wheel before the crash and that the braking system was never engaged. Insurance adjusters often browse social media accounts in search of evidence that could contradict an injury victim’s story. Social media is great for keeping up with friends and family, but it’s a slippery slope if you’re pursuing a personal injury claim. Insurance adjusters and insurance company attorneys are known to browse social media accounts to find evidence that could contradict injury victim’s stories or diminish the severity of their injuries. Vacation photos and event check-ins, for example, are popular actions on social media, but following a car accident or other personal injury these activities could be used against an injury victim to show he or she is not suffering as claimed. 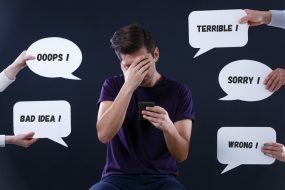 Oversharing on social media is a common mistake among car accident victims. Even information that is seemingly not related to your injury could be used to limit your claim. We don’t always have control over what technology our vehicles contain or how that technology is used. But we do have control over our smartphones and how we use social media. One of the most important steps you can take if you’re hurt in an accident caused by a negligent driver is to work with a lawyer who understands how relevant technology and social media use may affect your claim. The Madison, Wisconsin, injury attorneys at Boller & Vaughan are dedicated to staying ahead of the curve in regards to new and emerging technology that could impact car accident cases and other personal injury claims. For more information about Wisconsin personal injury laws that may impact you and your family, follow Boller & Vaughan on Twitter or “like” us on Facebook.